A new story set between the events of The Hobbit and The Lord of the Rings,Middle-earth: Shadow of Mordor delivers a vibrant next-gen game world through its Nemesis System. Every enemy players face is a unique individual, differentiated by their personality, strengths and weaknesses. These enemies are shaped by their encounters with the player to create personal archenemies who are unique to every gameplay session. Players must outthink each distinctively different enemy they encounter to infiltrate the ranks and dominate within the dynamic world that remembers and adapts to their actions and choices. · Unleash the Power of the Wraith – Players command Wraith Powers to orchestrate and execute their vengeance in brutal melee, ruthless stealth and intuitive ranged combat. · Dominate Your Enemies – See the world through Wraith Powers and uncover details about each unique enemy to aid Talion’s revenge; each foe has their own exploitable personality, memory and traits for players to study and manipulate. · Bend Mordor to Your Will – Gamers turn enemies against each other by forcing them to Assassinate, Terrorize, Sacrifice or Spy. Based on the player’s actions with the Nemesis System, every enemy encountered is distinct and can evolve to become a personal archenemy through the course of the game. 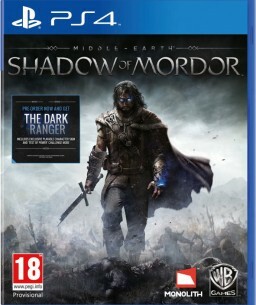 · New Story in Middle-earth – Taking place in the time between The Hobbit and The Lord of the Rings Trilogies, players discover the origin of the Rings of Power and become the most feared warrior in Mordor. · Grow Your Skills As You Kill – Advance skills and abilities, and upgrade weapons to become legendary through a system of rune rewards that are crafted according to the player’s strategy and their unique enemies.